As a business owner, property manager, or branch manager, it’s your responsibility to make sure the building, the people, and the assets remain safe at all times. Whether your business hours state that you are open or not, you must be proactive in your building security. A top priority should be your commercial door locks. Without proper locks, you could easily be targeted for a burglary or robbery. 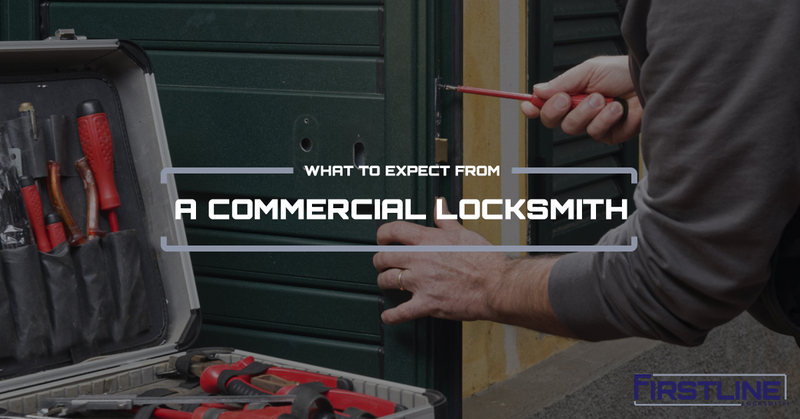 That’s why in this article, Firstline Locksmith wants to share what you should expect from a commercial Hamilton locksmith. A great commercial locksmith has decades in the market, helping businesses, owners, and more. For example, Firstline Locksmith has worked with a number of large brand names like CitiBank, Walmart, GoWireless, and many more. You want to find locksmith services in Hamilton that are experienced and ready to take care of your needs. If a locksmith is going to be working to secure your business, you want them to be using current tools and equipment to do so. You want top-notch security products and only the best equipment to secure your building, office, or business. A commercial locksmith company should have a great reputation. You shouldn’t have to hope that the locksmith services you choose will work. The company’s reputation should precede them, which is to say that they will deliver on their professional promises. In most cases, a great locksmith in Hamilton will offer free estimates for your project. Whether it be a massive office space or a retail store, the commercial locksmith will give you an idea of what securing the building will cost. At the very least, you will have a number in front of you for expected service cost. This way you do not have to guess what the project will eventually cost. You want to work with a locksmith company that is licensed, bonded, and insured. Any other option is inadequate and will likely not help you get your business, store, or office taken care of. A locksmith company that makes sure they have the right documentation and licensing simply reassures you that they are in business to help you. What’s more, a locksmith for commercial needs is securing the first line of defense to your building, assets, and people. You want nothing less than the best. As one of the top locksmith companies in New Jersey and the region, Firstline Locksmith is here to take care of your commercial locksmith needs. We provide services to banks, retail stores, office buildings, and more. We’re licensed, bonded, and insured. Call to discuss your locksmith needs with one of our professional service representatives today! ©2018 Firstline Locksmith® - All rights reserved.